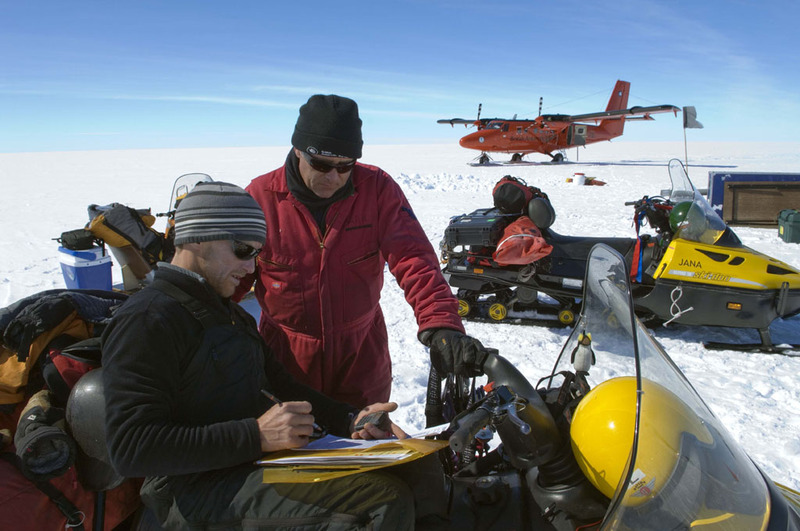 A decade-long scientific debate about what’s causing the thinning of one of Antarctica’s largest ice shelves is settled this week (Wednesday 13 May) with the publication of an international study in the journal The Cryosphere. 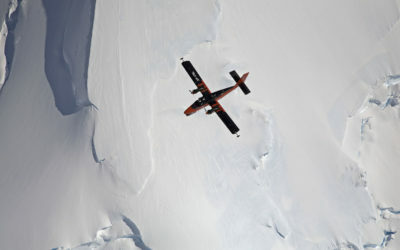 The Larsen C Ice Shelf — whose neighbours Larsen A and B, collapsed in 1995 and 2002 — is thinning from both its surface and beneath. For years scientists have been unable to determine whether it is warming air temperatures or warmer ocean currents that were causing the Antarctic Peninsula’s floating ice shelves to lose volume and become more vulnerable to collapse. This new study takes an important step forward in assessing Antarctica’s likely contribution to future sea-level rise. The research team combined satellite data and eight radar surveys captured during a 15-year period from 1998–2012. 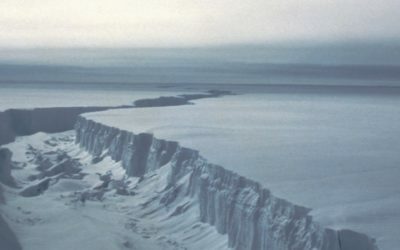 They found that Larsen C Ice Shelf lost an average of 4 metres of ice, and had lowered by an average of one metre at the surface. “What’s exciting about this study is we now know that two different processes are causing Larsen C to thin and become less stable. Air is being lost from the top layer of snow (called the firn), which is becoming more compacted — probably because of increased melting by a warmer atmosphere. We know also that Larsen C is losing ice, probably from warmer ocean currents or changing ice flow. The Antarctic Peninsula is one of the fastest warming regions on Earth, with a temperature rise of 2.5°C over the last 50 years. 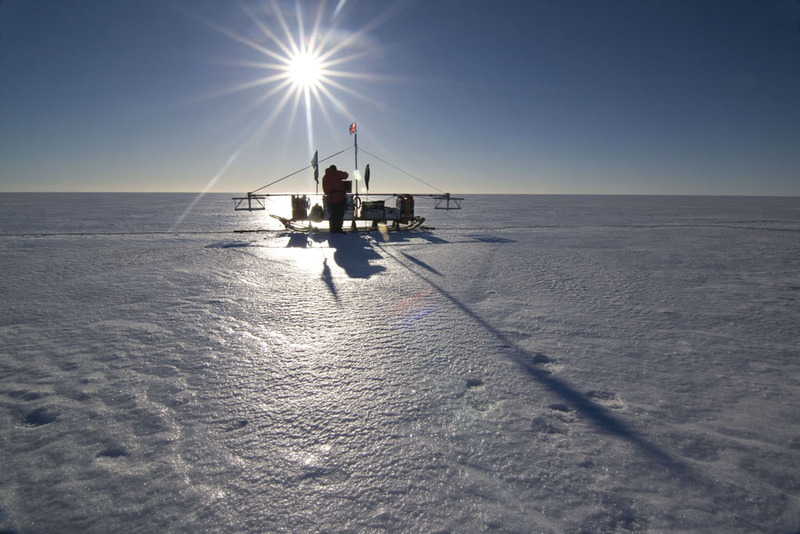 The team, who continue to monitor the ice shelf closely, predict that a collapse could occur within a century, although maybe sooner and with little warning. A crack is forming in the ice which could cause it to retreat back further than previously observed. 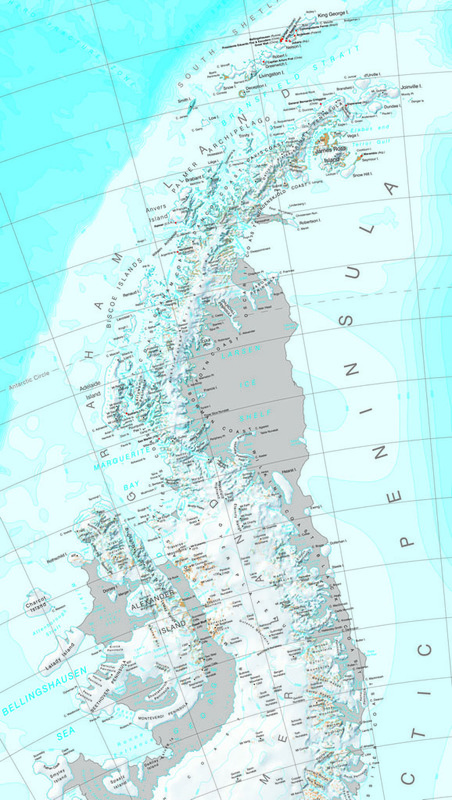 The ice shelf appears also to be detaching from a small island called Bawden Ice Rise at its northern edge. “When Larsen A and B were lost, the glaciers behind them accelerated and they are now contributing a significant fraction of the sea-level rise from the whole of Antarctica. Larsen C is bigger and if it were to be lost in the next few decades then it would actually add to the projections of sea-level rise by 2100. The study was carried out by scientists from British Antarctic Survey, the United States Geological Survey, University of Colorado, University of Kansas and Scripps Institution of Oceanography. It was funded by the Natural Environment Research Council in the UK, National Science Foundation in the US and a range of international funding bodies around the world. Oceanic and Atmospheric forcing of Larsen C Ice Shelf thinning by P.R Holland, A. Brisbourne, H.F.J Corr, D. McGrath, K. Purdon, J. Paden, H.A. Fricker, F.S Paolo, and A.H. Fleming is published in the European Geosciences Union journal The Cryosphere on 13 May 2015. The size of the Larsen C Ice Shelf is 50,000 km2, which is two and a half times the size of Wales and slightly smaller than Scotland. The collapse of 3250 km2 of Larsen B Ice Shelf took place in 2002. The Antarctic Peninsula is an area of rapid climate change and has shown one of the biggest increases in temperatures (primarily in winter) observed anywhere on Earth over the past half-century. Climate records from the west coast of the Antarctic Peninsula show that mean annual temperatures in this region have risen by 2.5°C during the last 50 years — several times the global average and only matched in Alaska. 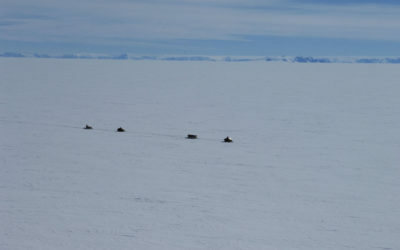 An ice shelf is the floating extension of the grounded ice sheet. 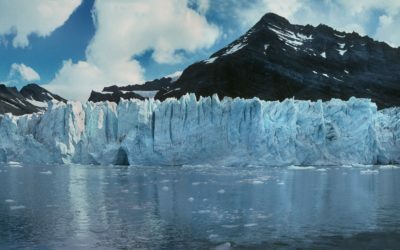 It is composed of freshwater ice that originally fell as snow, either in situ or inland and brought to the ice shelf by glaciers. As they are already floating, any disintegration of ice shelves will have no impact on sea level. Sea level will rise only if the ice held back by the ice shelf flows more quickly into the sea. 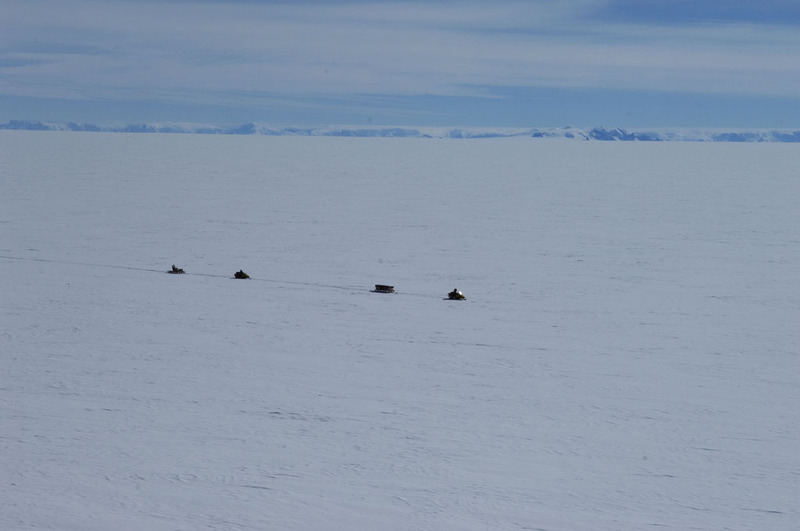 This work was funded by the Natural Environment Research Council (NERC) as part of the British Antarctic Survey science programme by the Polar Oceans team.